Electrical wire is used to carry electrical current from the power source to the end user device, like an outlet or light. This wire is really a conductor, but is referred to as wire in most instances.There are three different styles of wire. Bare wire is just what the name states, non-insulated. Insulated solid wire it a solid piece of wire that is coated and encased in a plastic coating. The last is insulated stranded wire. This has many smaller sized strands of copper and is also wrapped in a protective plastic coating. Type NM cable, as it is often referred to, is sold in precut lengths like 50', 100', 250', and 1,000' spools. 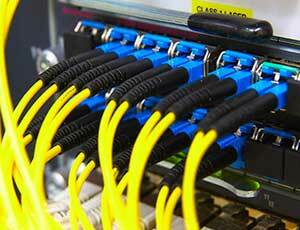 There are two different types of cables that are commonly used. Nonmetallic sheathed cable has two or more insulated conductors and usually a bare ground wire. They are all wrapped in an outer protective plastic sheath. The other is armored cable in which there is a black, red, white and green insulated wire inside of a protective flexible metal housing, often called a cord. Usually,m armored cable is cut to length, but you may buy a precut length roll. In home wiring that implements nonmetallic sheathed cable (NM), the outer sheath color indicates the wire gauge or size and amperage rating of the wire within. Most NM-B cable, made after 2001, is sheathed with different colored wire sheathed to make identification easier for both consumers and inspectors. This color coding of the wire sheath is strictly voluntary, but most manufacturers have followed suit in producing such a color scheme.